WarmChoice is a weatherization program provided by Columbia Gas of Ohio to qualifying low income customers through their large service area. Primary among the energy saving measures provided is sidewall insulation. Although realizing some of the highest savings in the country compared to similar programs, Program Manager Jack Laverty had reason to believe that the installation of the side wall insulation could be improved. The most reliable way to verify and bring attention to this improvement opportunity was to integrate infrared thermography into the WarmChoice program. Columbia Gas of Ohio and the Ohio Energy Office purchased 70 cameras to be used by energy conservation professionals throughout the weatherization process – including initial inspection, installation of insulation and quality assurance. Acquiring the infrared cameras was a great first step, but now the professionals who were going to use them needed to be trained. 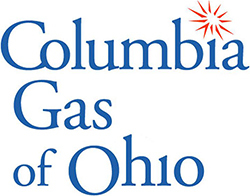 Snell’s reputation for providing custom infrared training and support was well-known and respected by Columbia Gas of Ohio and its Infrared Working Group. The Snell Group was hired to provide the training. Columbia Gas of Ohio needed a very specific curriculum and The Snell Group worked closely with them to create a customized two-day training program to be held at a central location in the state. In addition to classroom training, the curriculum included hands-on training using a representative house for field work. The Snell Group conducted two sessions per week for six weeks and trained over 75 professionals to meet the need. Later that year, The Snell Group was invited to a conference hosted by Columbia Gas of Ohio to provide a follow up session to the earlier training and an overview of infrared technology to those not familiar with its benefits. The WarmChoice infrared program is being implemented throughout the provider area with the goal of increasing the wall insulation success rate from 95% to 99%. The training provided by The Snell Group received high marks and there is a great deal of optimism that the goal will be reached. Additionally, the weatherization program has realized increased productivity when inspecting partially insulated houses, because with the infrared technology, there is no longer a need to drill holes to find out what’s already insulated.